Welcome home the new mum and baby in style with this gorgeous collection of baby clothes styled as a baby grow bouquet. 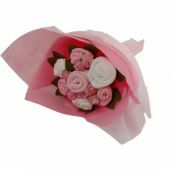 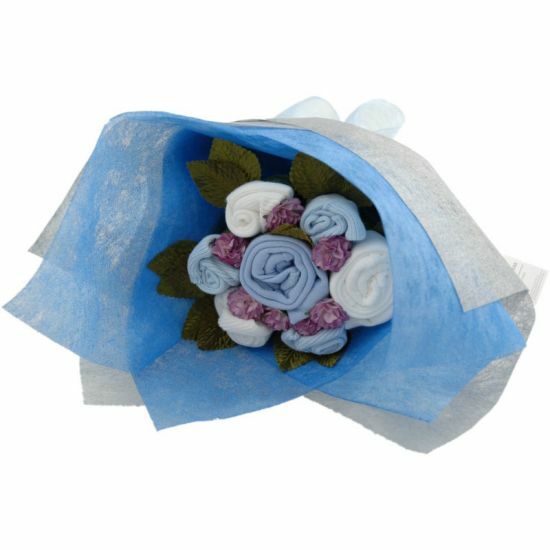 Hand crafted in the UK from the best quality cotton baby wear, this bouquet will last long after all the flower bouquets have wilted. 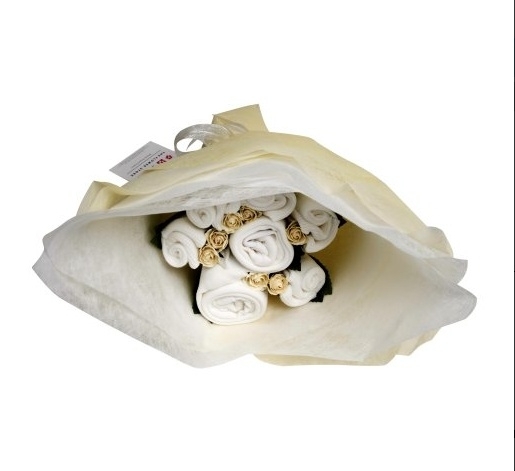 Unisex gift is made from white baby clothes.